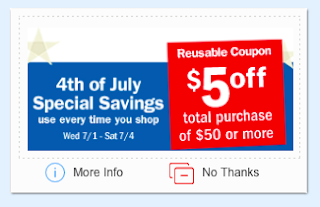 Meijer 4 Day Sale 07/01-07/04! This Wednesday to Saturday, 07/01-07/04/15, there is a 4 day sale! There is also a $5 off $50 coupon!, some areas are reporting a $10 off $50 purchase! Pepsi Products, 8pk btls/16.9oz - Buy 3, get 3 free!